With SafeRide, booking a ride to your next appointment is painless. We provide flexible options to book a ride in advance or on-demand, and match you with the driver and transportation type that most closely fits your specific needs. 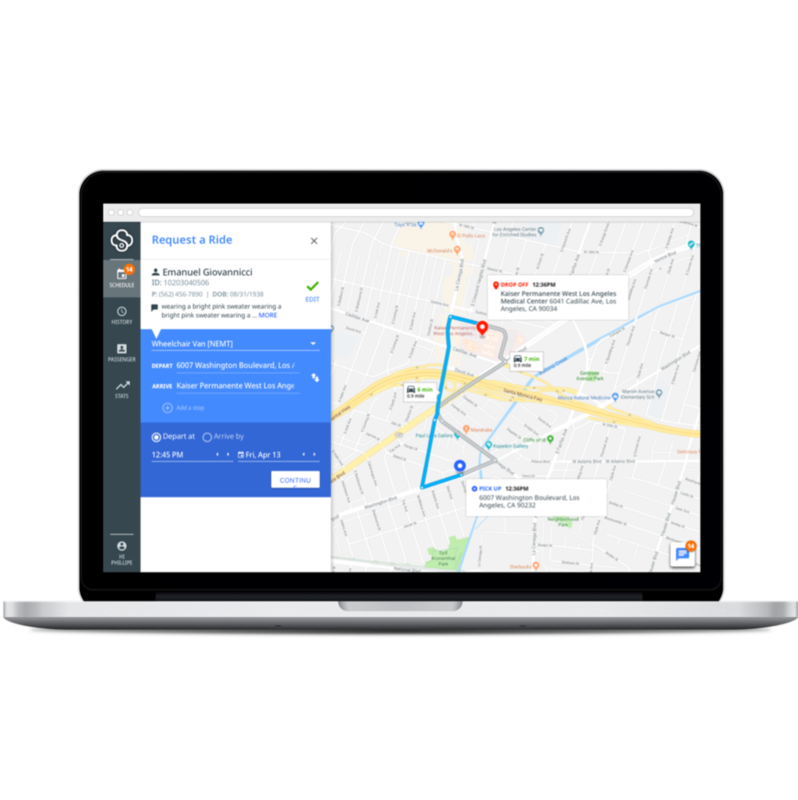 Our ride booking platform provides you with flexibility to schedule your own rides in advance or on demand. Simply enter your member ID and you can track your current benefit usage, book a ride in a few easy steps, and monitor the status of your ride. Members also have the option to book and confirm rides over the phone. Our dedicated call center representatives will conduct a customized intake interview with each patient to determine benefit eligibility and schedule rides in just a few minutes. Representatives are equipped with deep knowledge of the transportation benefit included in your health plan, and can provide individual guidance on how to use that benefit most effectively. With SafeRide, you no longer have to worry about miscommunications. Timely SMS notifications regarding vehicle and driver information, real-time status updates, and post-ride feedback help you stay connected and informed.